3. Display - 6.41" Optic AMOLED FHD+ display, colour modes, brightness, contrast, color temperature, sRGB coverage, etc. 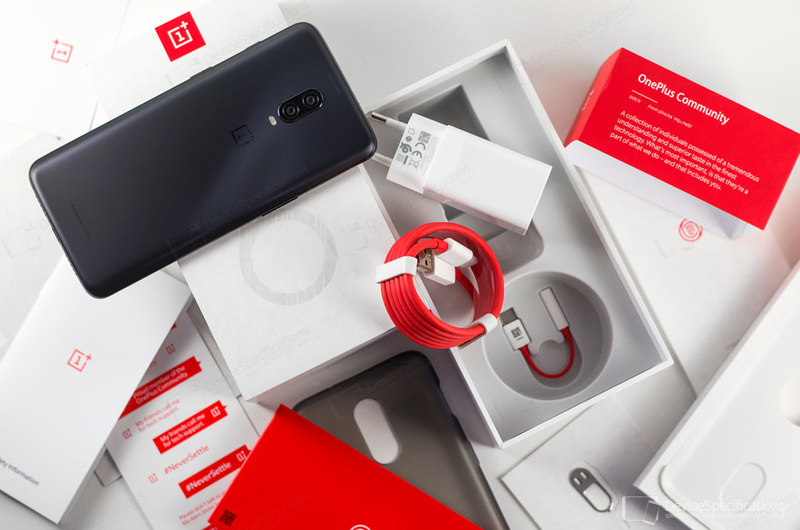 Usually, the T-editions of OnePlus smartphones offer incremental upgrades over the models they're based upon but the OnePlus 6T is different. Not only because it is the first 1+ smartphone to have an in-display fingerprint sensor, but also because it is the first model of this Chinese manufacturer to enter the US market. A market that stayed closed for tech giants like Huawei and Xiaomi, a market that happened to become the beginning of the end for LeEco and jeopardized ZTE which already had a solid presence there. The deal with T-Mobile is a great win for OnePlus and ultimately for the US users who will finally be able to use 1+ products that are the epitome of perfect price/quality ratio. In this in-depth OnePlus 6T review we will examine the device in detail and report back any differences compared to the OnePlus 6. 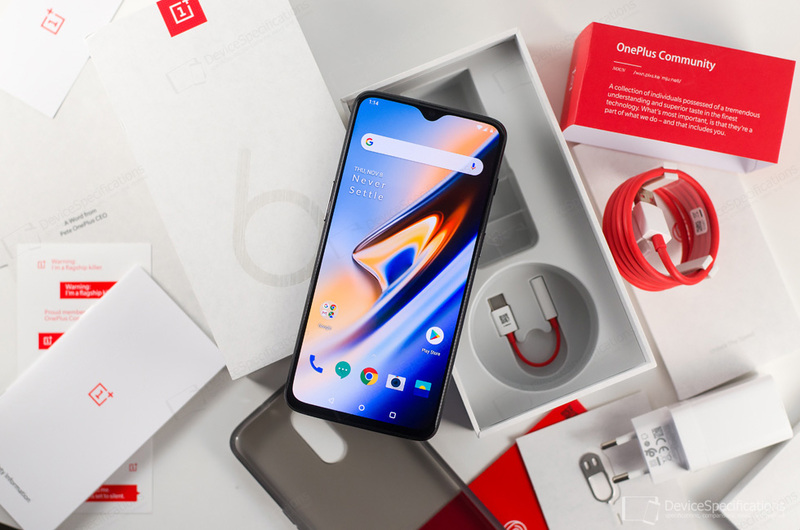 OnePlus 6T (A6010, A6013) is equipped with 6.41-inch Optic AMOLED display with an FHD+ resolution (1080 x 2340 pixels) and a 19.5:9 aspect ratio. The notch has been reduced to the significantly smaller waterdrop one. The front is protected by a 2.5D curved Corning Gorilla Glass 6 and houses a light-sensitive in-display fingerprint sensor from Goodix. The back of the handset is covered with 3D curved Gorilla Glass 6, while the middle frame is made of aluminium alloy. The camera department offers nothing new in terms of hardware but offers a substantial improvement in terms of software. The back houses a dual module with a 16MP Sony IMX519 main shooter with an f/1.7 lens, OIS and EIS, plus a 20MP Sony IMX376 camera with an f/1.7 lens. Both support PDAF and are accompanied by a dual-LED flash. The waterdrop notch above the display houses a 16MP Sony IMX371 selfie camera with an f/2.0 lens and EIS for video. OnePlus 6T is based on a Qualcomm Snapdragon 845 mobile platform that houses four 2.8GHz Kryo 385 (gold) CPU cores and four 1.8GHz Kryo 385 (silver) CPU cores. The graphics department is managed by a 710MHz Adreno 630 chipset. There are either 6GB or 8GB of dual-channel LPDDR4X RAM onboard clocked at 1866MHz. The UFS 2.1 2-LANE storage can be 128GB or 256GB. The OnePlus 6T supports 42 network bands across the globe (that's 2 more compared to the 1+6 and 7 more compared to the 1+5T), 4G LTE Cat. 18/Cat. 13 speeds 5CA with 4X4 MIMO, VoLTE, NFC with Android Beam and Tap & Pay, Bluetooth 5 with aptX & aptX HD support, dual-band Wi-Fi 802.11 a/b/g/n/ac with 2x2 MU-MIMO, Wi-Fi Hotspot, Wi-Fi Direct, Wi-Fi Display. There's no radio, no 3.5 mm jack. The USB Type-C 2.0 supports OTG, USB Audio and has a built-in DAC audio decoding chip. The model works with all satellite positioning systems currently available: GPS, GLONASS, BeiDou, Galileo. The audio setup includes Dirac HD Sound, Dirac Power Sound, noise cancellation support, a single bottom-facing speaker. The device is powered by a 3700 mAh battery coupled with a 5V/4A fast charger. The international version of the model arrives with OxygenOS 9.0 based on Android 9.0 Pie, while the Chinese version arrives with HydrogenOS. 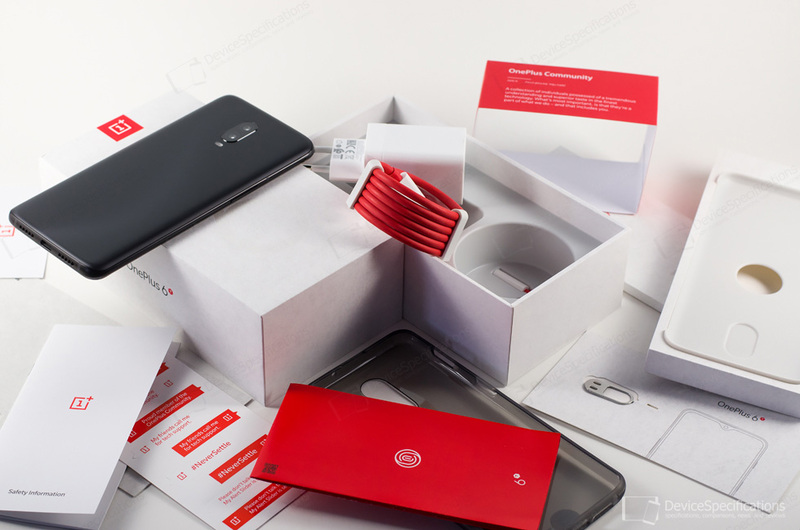 Full OnePlus 6T (A6010, A6013) specifications.